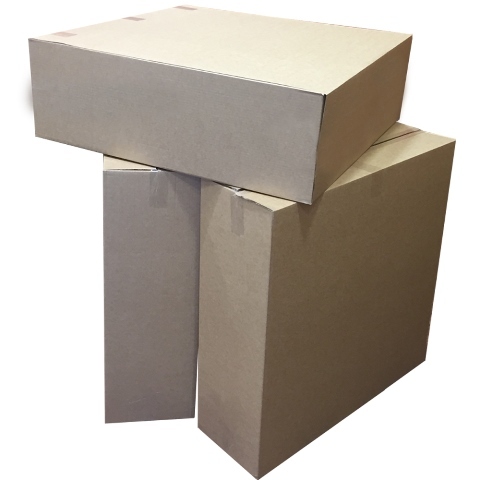 10 x Extra Large S/W Packing Cardboard Boxes 32"x10"x32"
40 x Extra Large S/W Packing Cardboard Boxes 32"x10"x32"
60 x Extra Large S/W Packing Cardboard Boxes 32"x10"x32"
100 x Extra Large S/W Packing Cardboard Boxes 32"x10"x32"
200 x Extra Large S/W Packing Cardboard Boxes 32"x10"x32"
In this section you will find size 32x10x32" (800x260x800mm) single wall boxes, in various quantities/pack sizes. This carton is perfect for large size items, especially irregular shapes and flatpacks, and a great size for warehouse/ dispatch use at an economy price. Should not be used for heavy items (double wall boxes are recommended for heavy items).